It's clear, when he talks, that Dominic Le harbors a special passion for Datsun's 510s. It's an urge he can't seem to satisfy. With a baby boy born just weeks ago, when most of us would find ourselves selling off project cars one after the other, Dominic continues to add to the stable. With the latest car bought just two days ago, he's now got three 510s in his possession. Although each one is a project in its own right, it's the black coupe that represents the centerpiece of his growing addition. 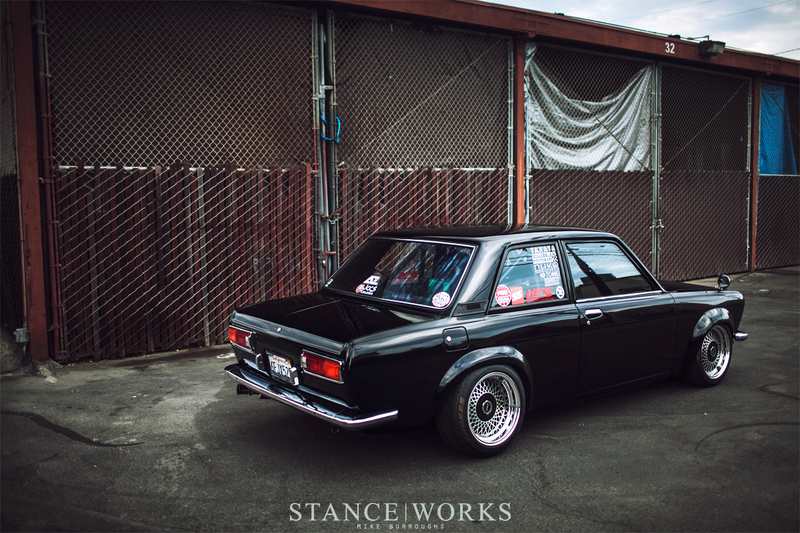 Dominic hit the nail right on the head - "The Datsun 510 is one of those cars that all age groups can relate to." 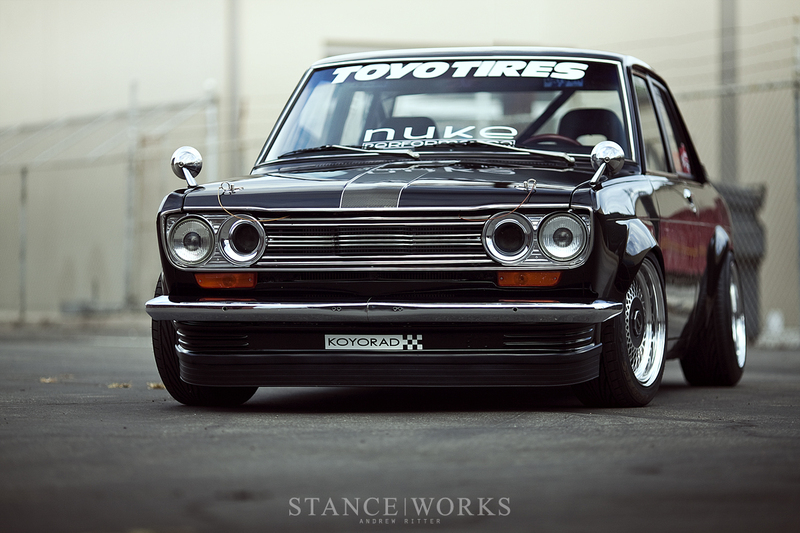 In fact, it's hard not to argue that the 510 truly is one of the most iconic vintage Japanese cars in America, along side the 240Z, and a select few others. The 510's rich racing history only adds to its legacy, having won the SCCA's Trans-Am sub-2500cc Championships in both 1971 and 1972, which account for its most prominent victories stateside. It's known across the world as the "Poor Man's BMW," built to compete with BMW's 1600 series cars - yet somehow, it has held its own, earning a collector's status amongst European and Japanese car fans alike. Dominic's foray with 510s began with a humorous reminder of humble beginnings. "Just like most guys that start with a project like that, the first one is never a good one." After regretting settling on a rough-condition sedan instead of a two-door, Dominic made the necessary moves to track down the car that was right for him. 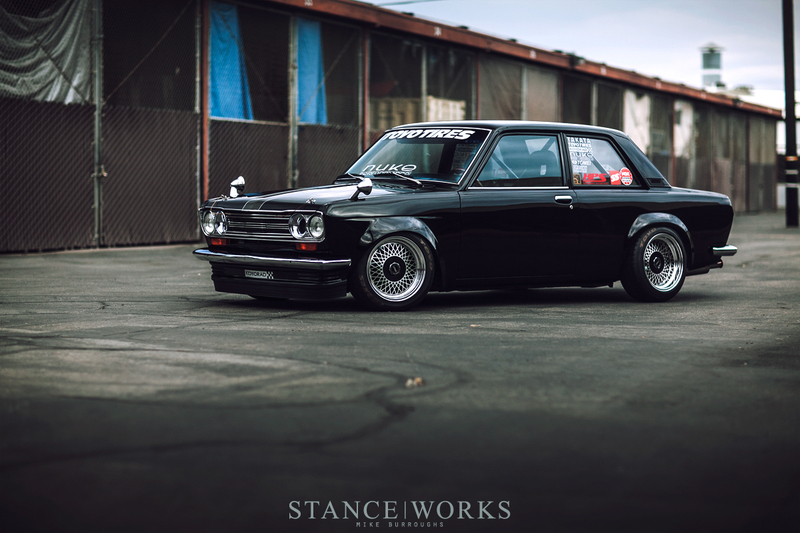 The coupe he has now was his second 510 purchase, and over the past several years, quickly evolved into what he affectionately refers to as a "never-ending project." "I found this car in San Diego," Dominic told me, "and the seller said it was a running car with a small fender bender." After traveling to see the car, Dominic was faced with a car that failed to meet expectations. Aside from not starting, which was problematic but solvable, the "small fender bender" turned out to be a full front-end collision, which crushed the front-passenger side of the car. "As bad as it sounds, I just had to have it. 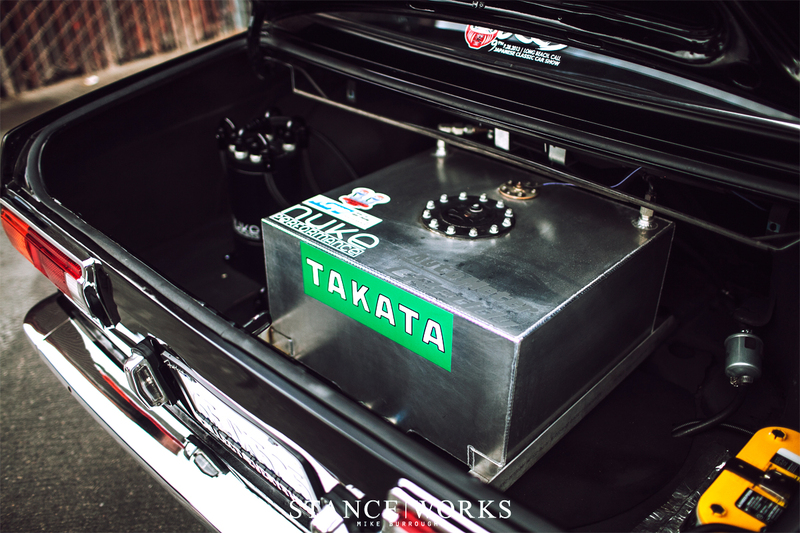 I'm a strong believer that everything happens for a reason, and this 510 was reason enough for me." 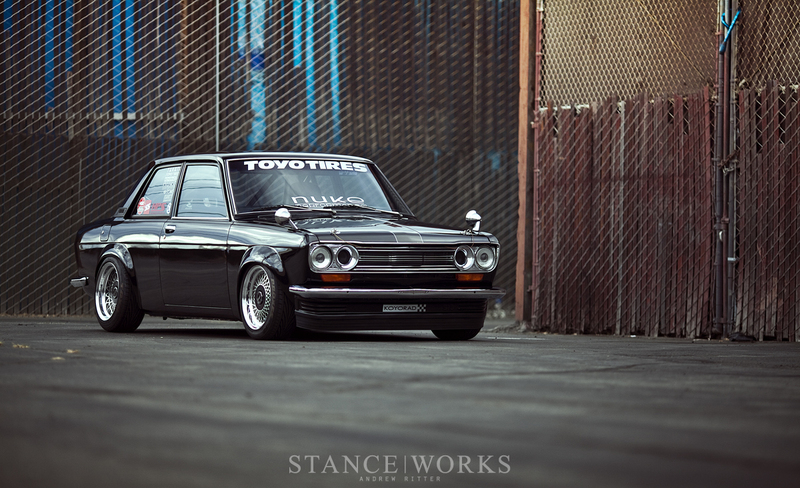 With that, Dominic set out on building a car that was both true to his dreams and true to the classic Datsun styling. As an '80s child, Dominic grew up seeing Peter Brock and the BRE Datsun team dominate on the pages of magazines and on TV, dreaming to one day afford one. 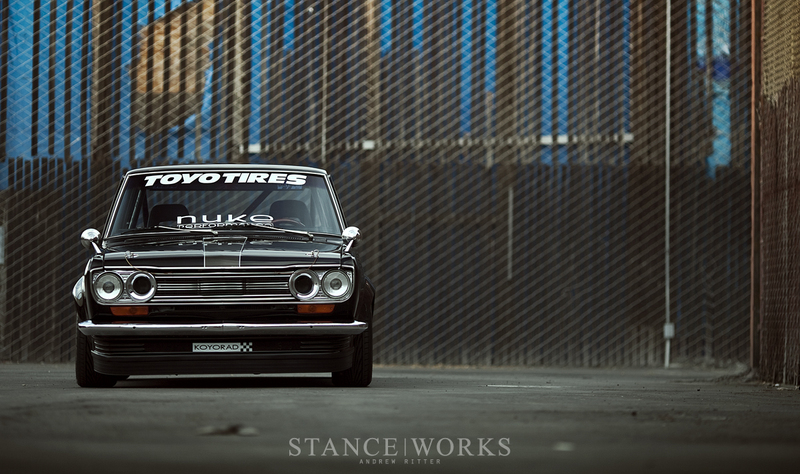 After purchasing the wrecked coupe, and facing substantial bodywork, he looked back to his childhood inspiration of Datsun race cars, and began the project with BRE fender flares. "I wanted a very sleek look, as if it was to roll out of the Datsun factory back in the '70s... Clean and simple was my goal." Months of time was sunk into the fenders alone, his decision to paint he car black forcing the need for perfect bodywork. 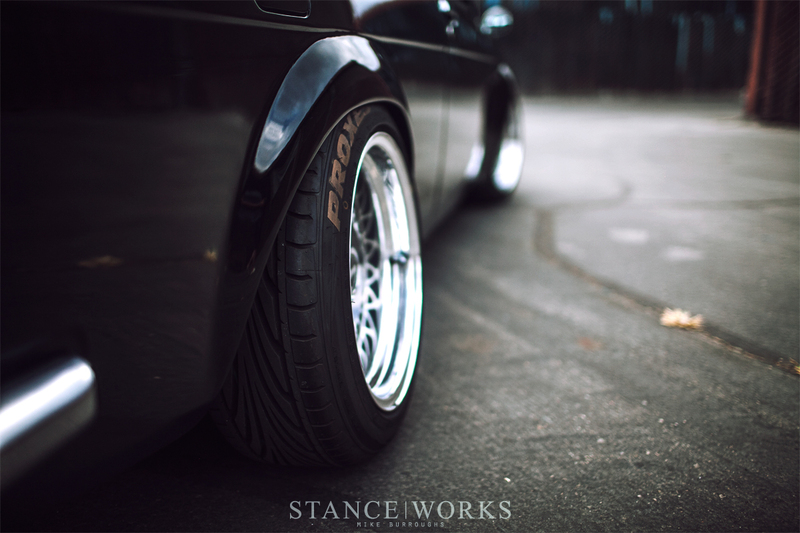 Much to the chagrin of fellow 510 lovers, Dominic cut away the fenders in order to achieve the BRE-inspired OEM aesthetic he desired. 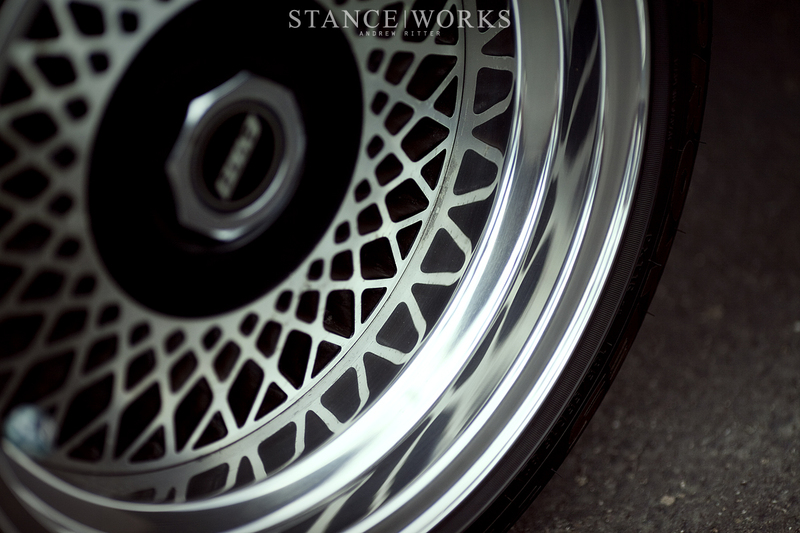 With the fender work completed, Dominic turned to the suspension, wheels, and tires. Not one to leave any part of the car a simple off-the-shelf solution, Dominic sourced Datsun 280zx struts and shortened FC RX7 Tokico shocks fitted with QA1 coilover perches and custom camber plates for the front. In the rear, the crossmember was modified with a custom camber adjustment system, and KYB AGX shocks were fitted with QA1 coilover adjusters and Eibach 300lb springs. Lastly, the rear differential was swapped out for an R180 Subaru STI unit. To fill the arches, Dominic went with '70s-Era Enkei EK64s, sitting at 15x8 ET -7 in the front, and widened in the rear, out to 15x9 with a final offset of -15. It seems, at first glance, that Dominic followed the status quo - a Nissan SR20 can be found under the hood, as is the standard. However, instead of the Japanese turbocharged counterpart, Dominic kept with the naturally aspirated USDM version, sourced from an S14. 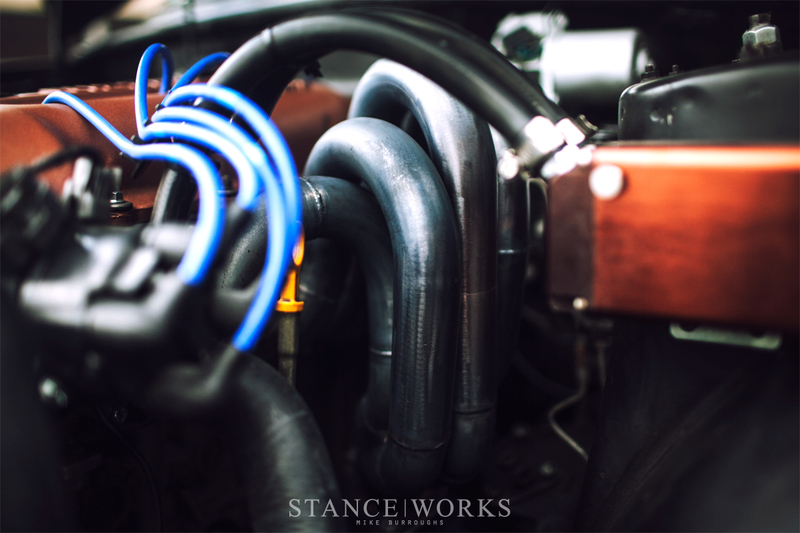 "I had built turbo SRs in the past for friends, and they are great engines, but I just wanted to push myself a bit more and see what I could build with a naturally-aspirated engine." He admits that it would have been cheaper to stick with a turbo, but he's happy with the outcome. 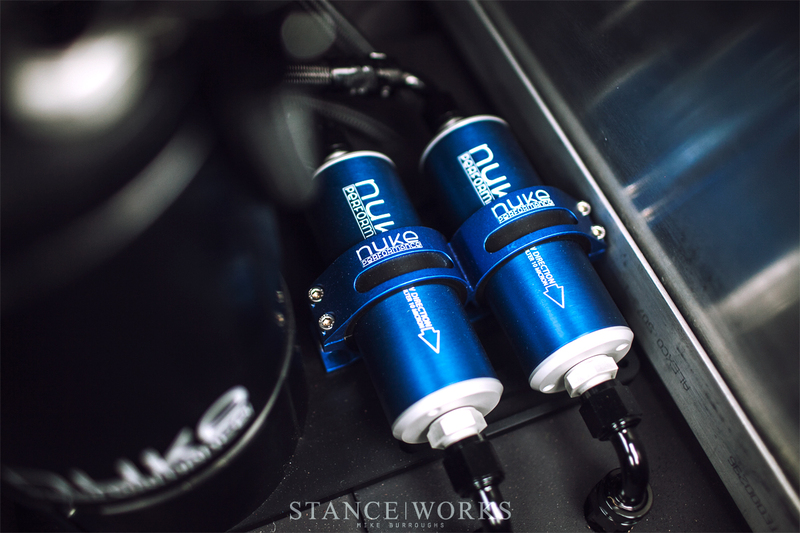 "I had never really worked with NA SR20s, so I did a lot of research to see how it produces power." Finding NA build parts proved difficult, as most shops carried parts only for the turbocharged version. In the end, Dominic turned to Tomei for a 2.2-liter stroker kit. His goal was to pump out 200 horsepower, which is a fair gain over the 140 horsepower stock rating. He had the throttle body modified, added in bigger injectors, and KA24DE headers, but the outcome was 20 horsepower short of his goal. "At this point, I could have built two simple turbo SR engines for the price I had sunk in, just to make 180 ponies. 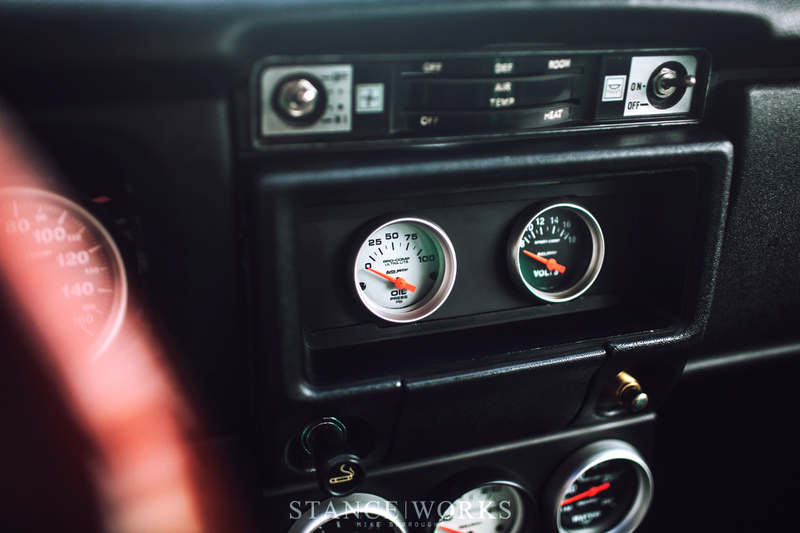 However, it did give me 9000RPM of rev range, and it pulled well." Finishing out the engine build, Dominic had a custom set of high-rise long tube headers made for a boost in low-end performance. All that's left is to source a set of Tomei ITBs. "It's a Datsun, and no Datsun owner ever finishes their build." Under the trunk, things are just as impressive - a custom fuel cell sits perched over the spare tire well, and next to it, a Nuke Performance surge tank and fuel filters keep the engine from running thirsty. The setup offers the perfect chance to showcase some of his products - when he's not building cars, Dominic works to build companies, with his days spent split between managing budgets and the financials for Mitsubishi Motors, and working to bring Nuke Performance fuel systems to North America. Having grown over the past decade into prominence as one of Europe's top surge tank and fuel system components manufacturers, Nuke looks to launch its products stateside in January, which Dominic humbly yet proudly suggests will redefine the market in North America. Moving further inside the car, Dominic admits the interior is likely his favorite part. "I had the help of my mother to sew up the leather headliner and door panels. I hadn't really worked on interior, and this gave me something new to learn and the result turned out pretty good." 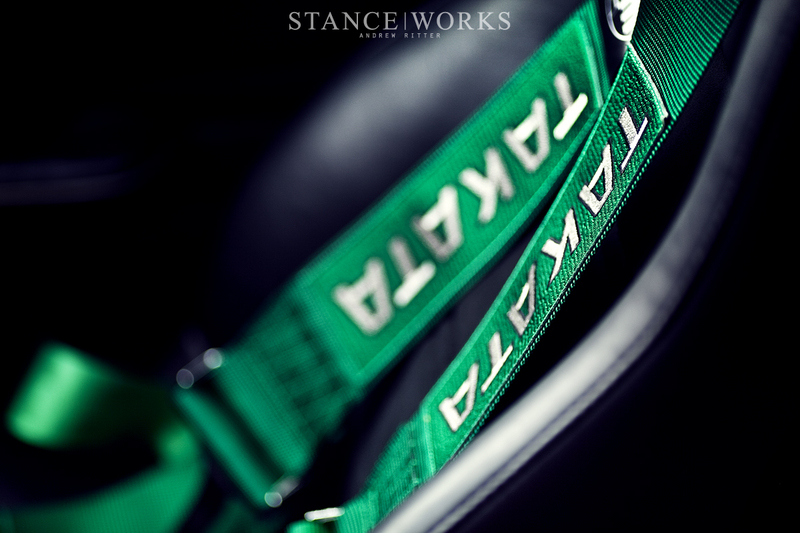 A traditional set of Takata harnesses accent an otherwise black interior, with the modern gauge faces hinting at the performance goodies that lie at the front, rear, and underneath the car. "I have always messed around with cars since I was young, and I never thought I would make a career out of this hobby," Dominic says. He knows he's fortunate to have found a blissful balance between work and play, as evidenced by his 510s and his new Porsche 912 project. As Nuke launches, and his projects continue to move forward (and likely continue to grow in numbers), we're anxious to see what else Dominic brings to the market. Raises the question of which would you have: 510 or 2002 ? Isn’t that the 510 2 door sedan? Coupe’s rear end is different. As Vittorio said, this is a 2dr sedan. The coupe has a different roof/doors, etc. Also, this engine was never offered in a USDM car. This engine came from a JDM Silvia. The only USDM SR20DE engines were front-wheel drive. Ugh, you got me all excited when I read Coupe only to find a 2dr Sedan. Like the others have said, not a coupe. This is a 2 door sedan. You should consider fixing the error in the article. It’s a fwd engine with a rwd trans on it. People do this swap all the time. I’ve got a 2 door sedan in my garage right now. It’s not a FWD engine. The intake and valve cover are only used on the S15 Silvia engine. The FWD engine has the distributor sticking out of the back of the head/valve cover, not the front corner. And you might want to ease up on being doing the swap “all the time”. Haven’t seen even one finished yet. Tons of finished 510 RWD SR swaps. johnroperphoto I’ve never paid attention to the distributor location so you’ve got me there. That’s my mistake, but I’ve seen several 510 with running N/A sr swaps in them. It’s more common than you think. Nice build, but I was disappointed to see this wasn’t an actual “Coupe”, but rather just a USMD LHD510 with fender mirrors. Not the first time someone’s made that mistake though. In the common automotive vernacular, a two door is considered a coupe, and a four door a sedan. This might have applied to the US 510 had it not been for the much venerated JDM 510 Bluebird Coupe. Kind of the little brother to the early GT Skyline. Compared to the US 510, the JDM Coupe has a pinched grill and swapped back C pillar extending the roofline.